PLEASE NOTE: EFFECTIVE 4/5/19, SUBSTITUTE APPLICATIONS FOR THE 2018-19 SCHOOL YEAR ARE NO LONGER BEING ACCEPTED. PLEASE VISIT THE WEBSITE AGAIN BEGINNING IN JUNE FOR INFORMATION REGARDING BEGINNING THE PROCESS FOR THE 2019-20 SCHOOL YEAR. Edmond Public Schools is always looking for quality substitutes. Individuals who wish to substitute teach must be 21 years of age or have 45 hours of college credit. Substitutes are required to complete annual paperwork, have a criminal history report on file, complete annual tutorials and attend a training session. All substitute applications must be completed online! Once you open the link, type “2019-20 Substitutes” in the search bar and fill in the requested information. When available, please click on the link below to sign up for the required yearly orientation. All new and returning subs are required to attend orientation each year before they will be cleared to begin working. **Please check back for the Substitute Orientation information for the 2019-2020 School Year! 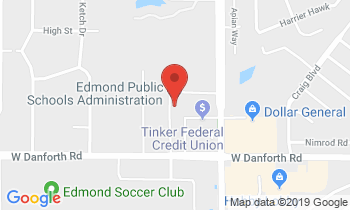 All orientations are held at the district headquarters, 1001 W. Danforth, Edmond, OK. Go to the far south side of the building where the school board meets and there are three large rooms labeled Oklahoma A, B & C.
If you have additional questions, please contact Tammy.Bivolcic@edmondschools.net.